It replaced an earlier Primitive Methodist building of 1837. 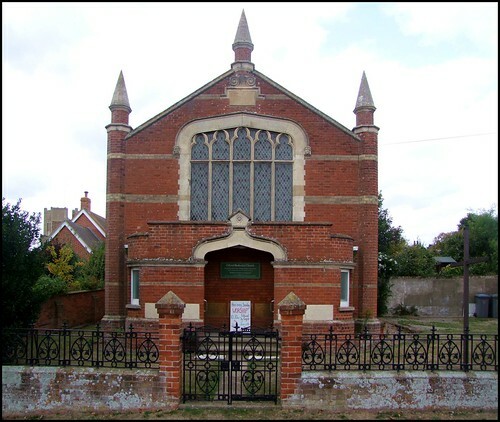 At the time of the 1851 census of religious worship, Orford Methodist Society had a membership of 18, and was served by William Dolman, the Minister at Kelsale, who had a fair journey each Sunday. The old building held just 150 people, so was probably much smaller than its 20th Century replacement. It seems to have been nearly full every Sunday. However, given that Orford had a population of 1,100 at the time, it is perhaps surprising that there were no other independent congregations.